“This study serves as a warning to other neuroscientists,” says Nathan A. Smith, Ph.D., a new principal investigator in the Center for Neuroscience Research at Children’s National Health System and first author of the study. Scientists using chemical based fluorescent dyes to study the calcium dynamics of the cells within the central nervous system suspected that something external was disrupting normal cell function in their studies. Neuroscientists at the University of Rochester Medical Center and Children’s National Health System have confirmed their suspicions by capturing data that shows, for the first time, how these fluorescent calcium dyes are causing cell damage when loaded over an extended period of time. Their findings appeared in Science Signaling. The study comparatively analyzed the effects of chemical and genetically encoded calcium ion indicators on cellular functions, which had not been previously performed. The outcomes showed that all of the fluorescent calcium dyes, including Fluo-4, Rhod-2, and FURA-2, had negative consequences for a number of cellular functions. For example, the dyes inhibited the sodium potassium pump (Na,K-ATPase), a membrane protein essential for many cellular membrane functions including the exchange between intracellular sodium ions (Na+) and extracellular potassium ions (K+). Inhibiting the Na,K-ATPase process results in the buildup of K+ ions in the synapses, leading to errant neural firing that has been linked to a number of disorders, including epilepsy. Additional observed impacts of exposure to the dyes included reduced cell viability, decreased glucose uptake, increased lactate release and cell swelling. “Now, our field needs to take a step back and reevaluate findings that may have been influenced by these chemical trackers, to make sure that our observations were driven by our intended manipulations and not this additional factor,” Dr. Smith continues. Tracking calcium ions and their dynamics within the central nervous system through fluorescent calcium indicators is the primary method of measuring glial activity and glial interactions with other cell types. Unlike neurons, glial cells are electrically non-excitable; therefore electrical-based recording methods used to measure neuronal activity are ineffective. 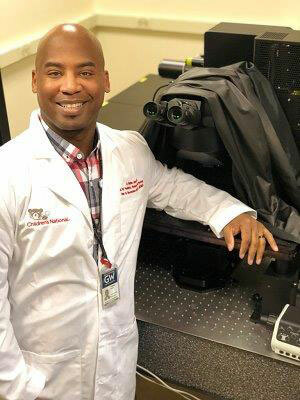 Dr. Smith’s lab uses GECIs exclusively to monitor the calcium dynamics of glial brain cells called astrocytes as well as their interactions with other cells such as neurons. 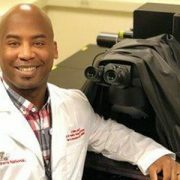 His work now seeks to understand how those interactions influence neural networks and how they operate differently in neurodevelopmental disorders, including attention-deficit hyperactivity disorder (ADHD), epilepsy and others.